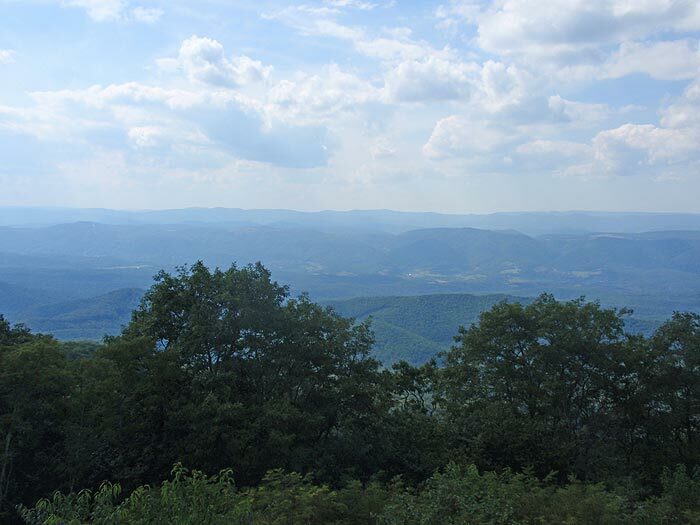 The High Knob Fire Tower is located on Shenandoah Mountain west of Harrisonburg, and sits on the boundary line between Virginia and West Virginia. 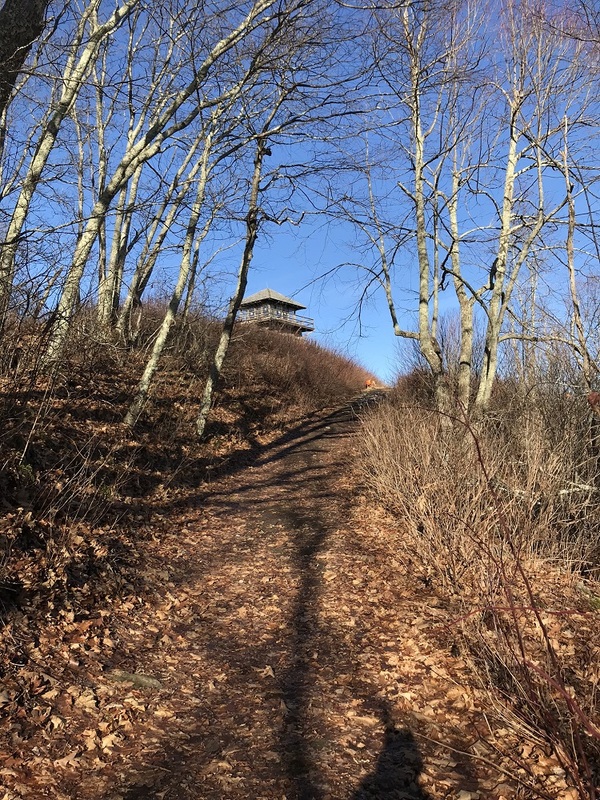 The tower is an historic structure renovated in 2003 which also enhanced trail access from a new parking area just west of the ridgeline, on the West Virginia side of the mountain. 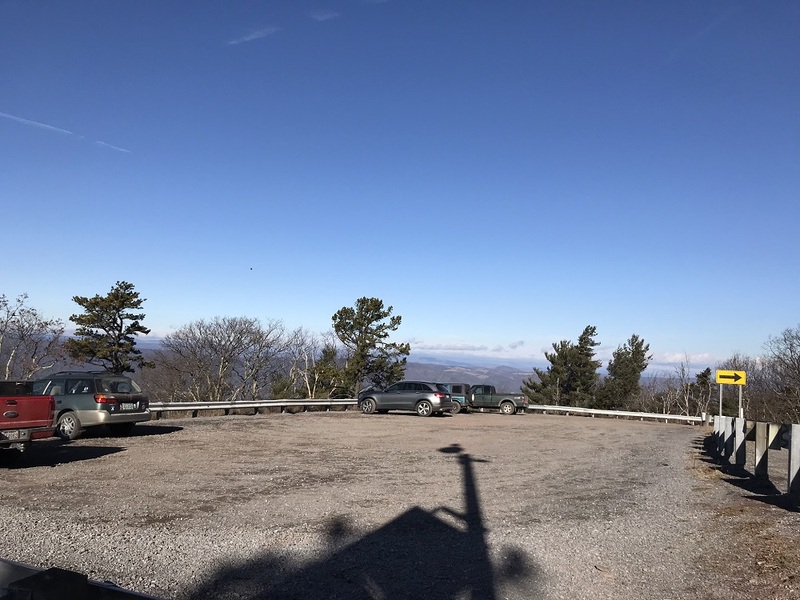 Note that the parking area is not on the top of the mountain – that is private property. 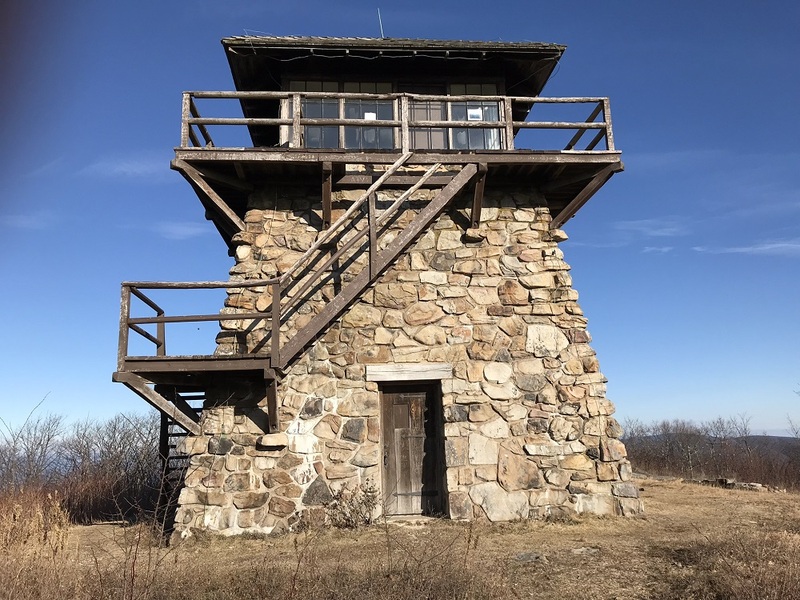 Workers for the Civilian Conservation Corps and World War I veterans constructed the tower during 1939-40 using rocks from Shenandoah Mountain. 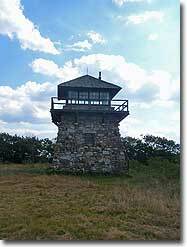 It is now the only stone fire tower in Virginia and is the only intact tower of this type on national forest lands east of the Mississippi River. Most fire towers were constructed of metal. 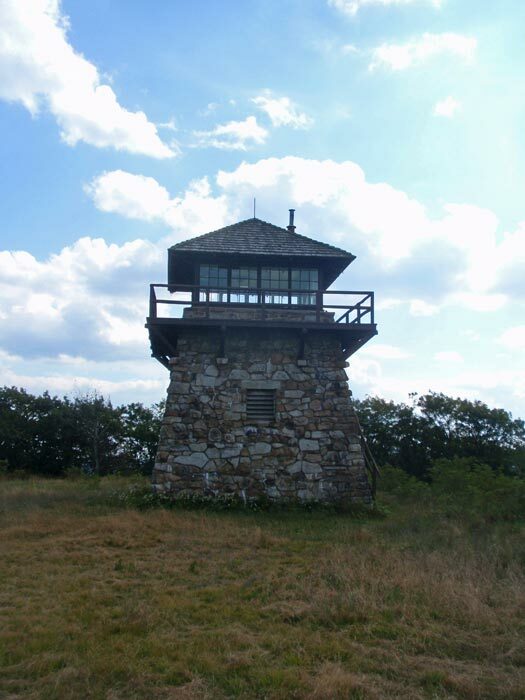 You can find a more complete history of this historic structure on the Friends of Shenandoah Mountain website. 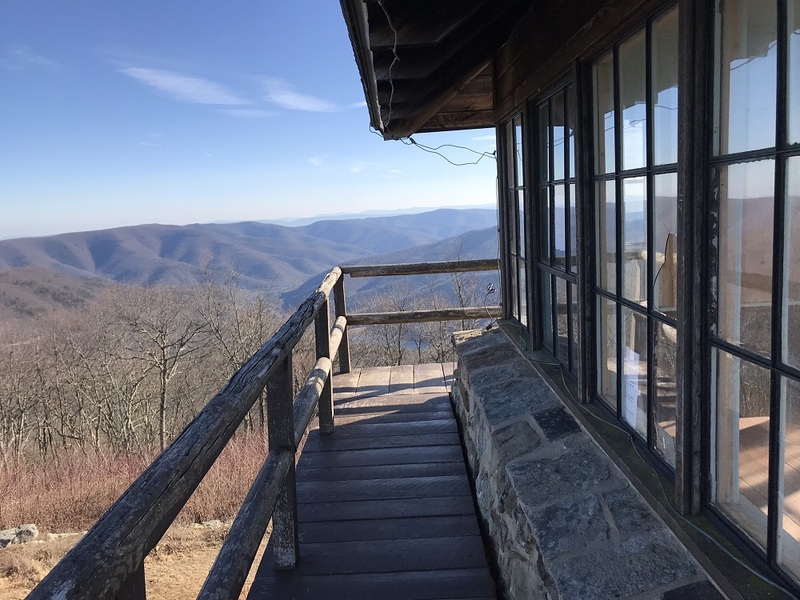 The Friends of Shenandoah Mountain is an organization committed to preserving much of the High Knob Fire Tower’s views, including proposed wilderness designation for over 5200 acres in the slope and valley just east of the tower. 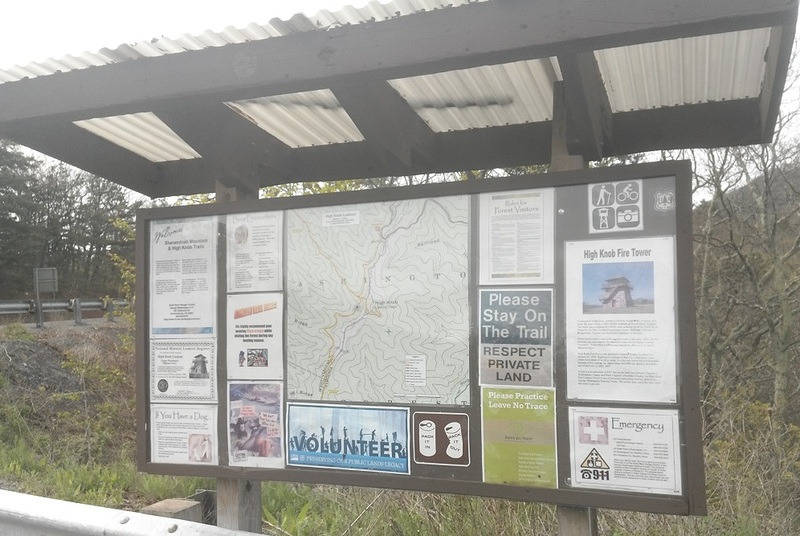 This hike presents a much easier access to the structure and its fabulous 360 degree views than the trail from the Brandywine Campground, and is suitable for families with younger hikers. 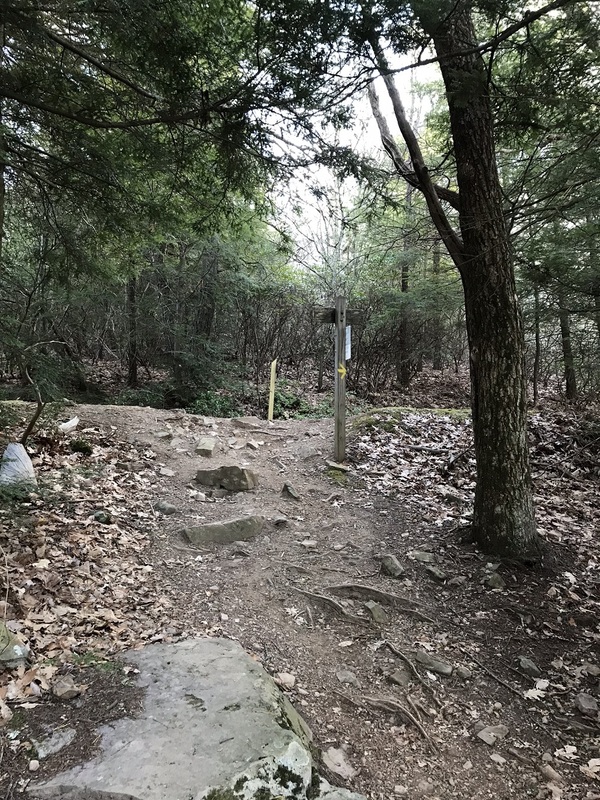 Despite its short length, however, there are some briefly steep sections and some of the trail is rocky, especially right next to the parking lot! 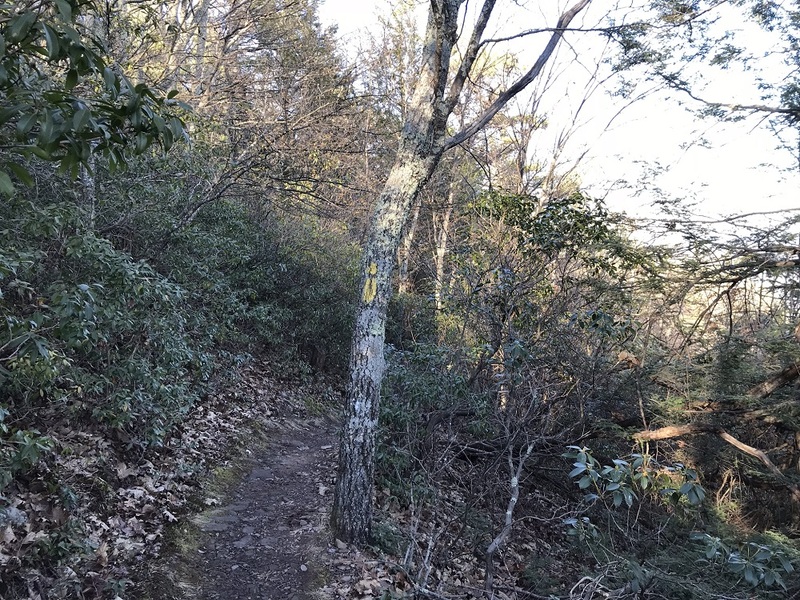 Mile 0.0 – The route starts on the Shenandoah Mountain Trail, a yellow blazed trail that starts behind a hiker sign on the eastern end of the parking area, furthest away from the lot entrance. The trail drops steeply from the parking area on large rocks, before leveling out on a dirt path. 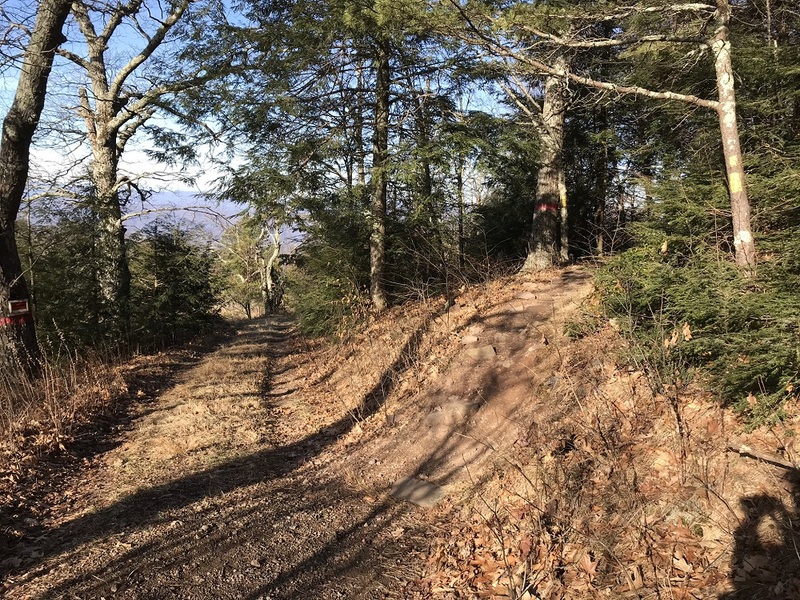 This section of the trail is also a portion of the Great Eastern Trail, a long distance trail under development running west of the Appalachian Trail from New York to Alabama. 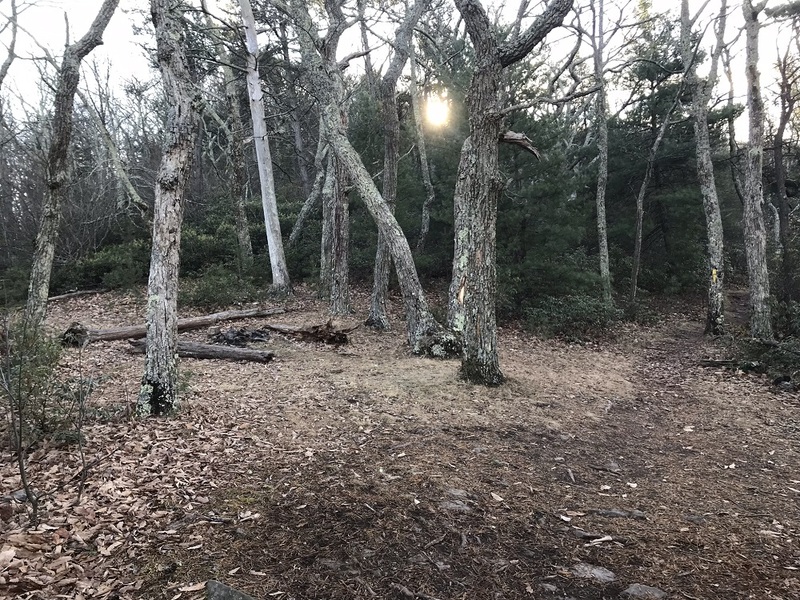 Mile 0.5 – A small, dry campsite with fire ring is on the left side of the trail. An unmarked trail also descends on the right, but it peters out after about 15 feet. 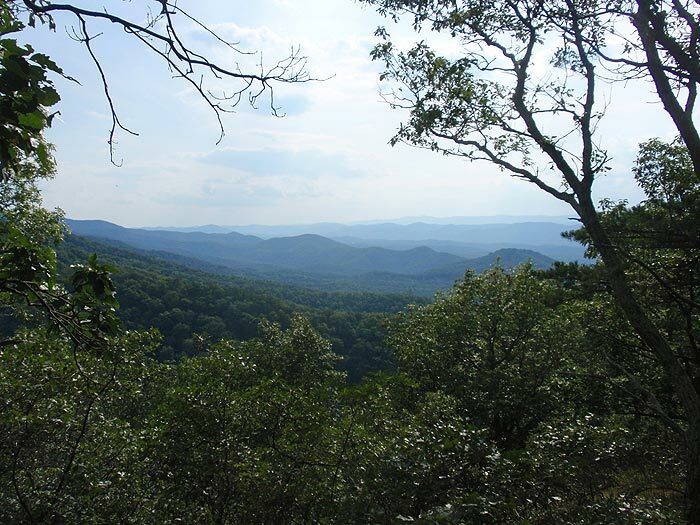 Continue generally south along the side of the slope of Shenandoah Mountain. 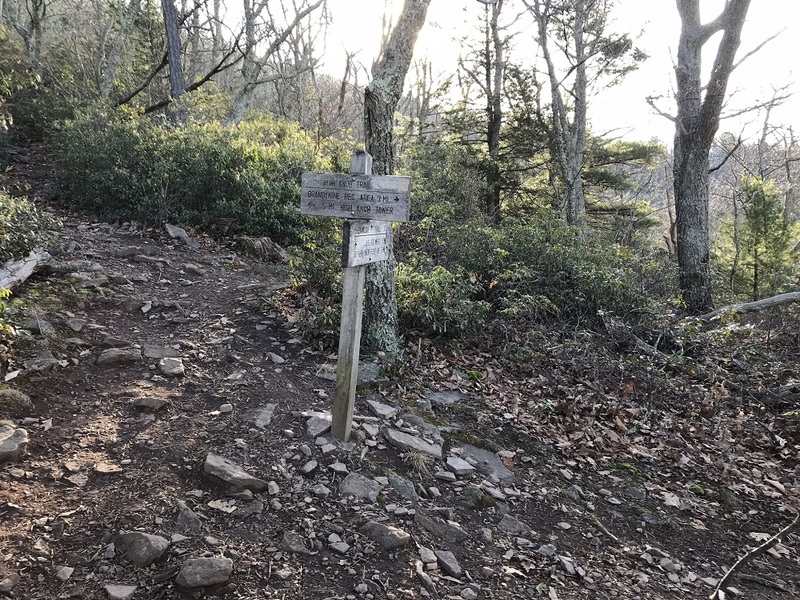 Mile 0.8 – The trail intersects with the High Knob Trail, which drops steeply over 3 miles to the forest service’s Brandywine Campground. 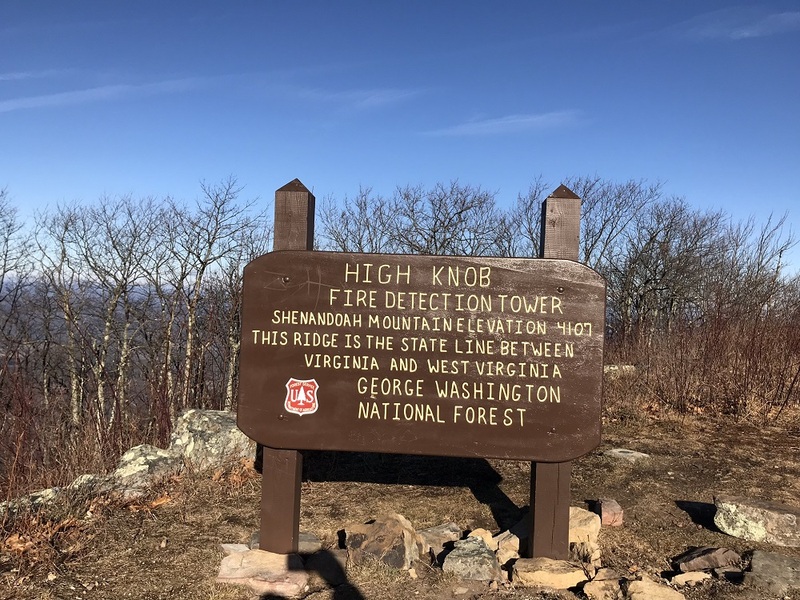 The Shenandoah Mountain Trail and the Great Eastern Trail continue south here for five miles over the ridge of Shenandoah Mountain to a rough road that leads further south to Reddish Knob. 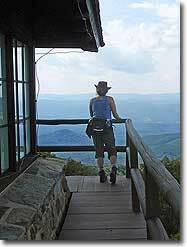 The trail to the fire tower takes a sharp left and climbs quickly. Take the steep uphill option. 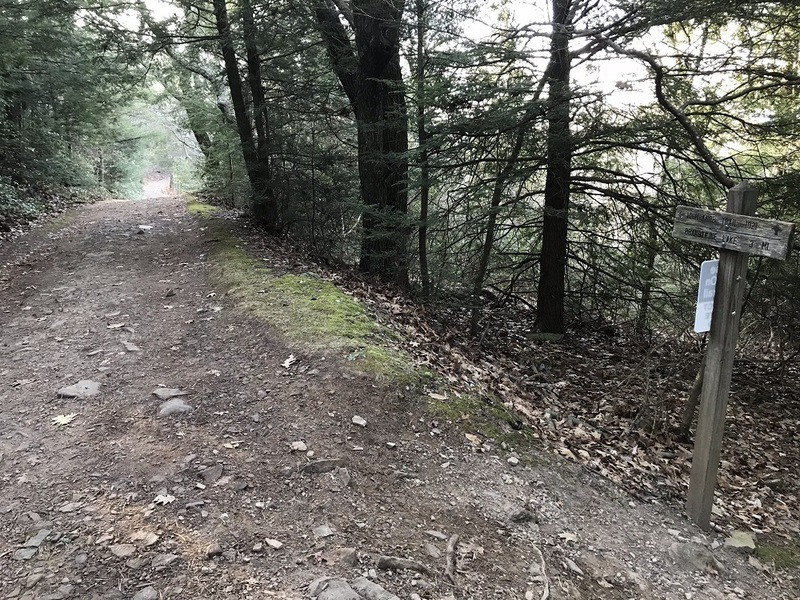 Mile 0.9 – Trail meets a woods road and turns right on the road. Taking a left on this road enters private property. Turn right. Please respect private property. 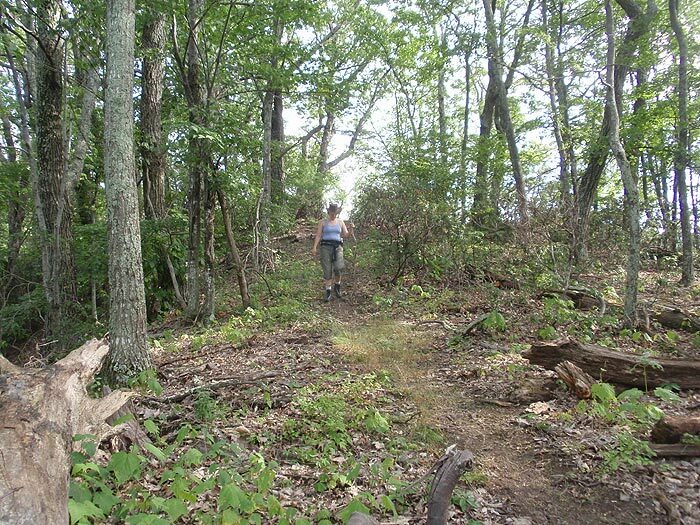 Mile 1.0 – Shortly before the road leaves the woods for an open area the trail cuts left, leaving the woods road. 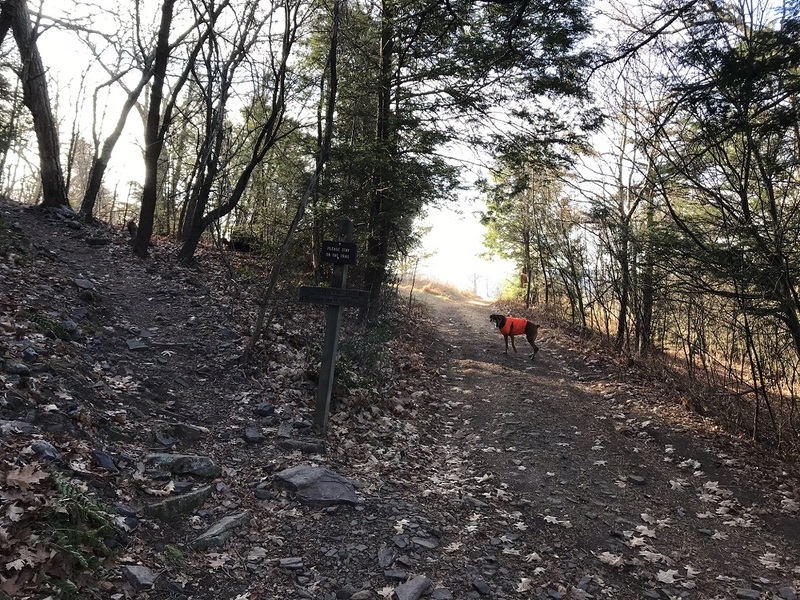 Mile 1.1 – The trail merges onto another woods road, which it follows to the summit and the fire tower. 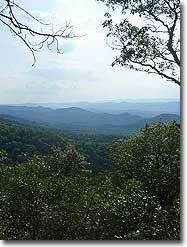 Make sure to take the trail you just hiked on the way back to your car, to avoid entering private property. 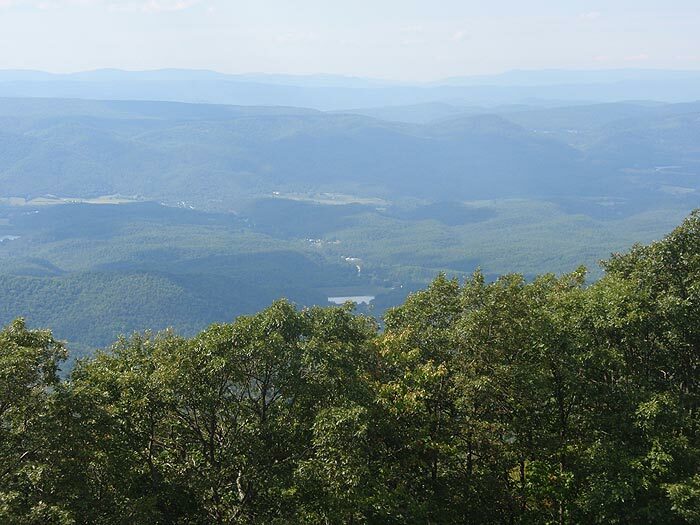 Mile 1.4 – The road ascends to an open area with the fire tower and a sign describing the tower. 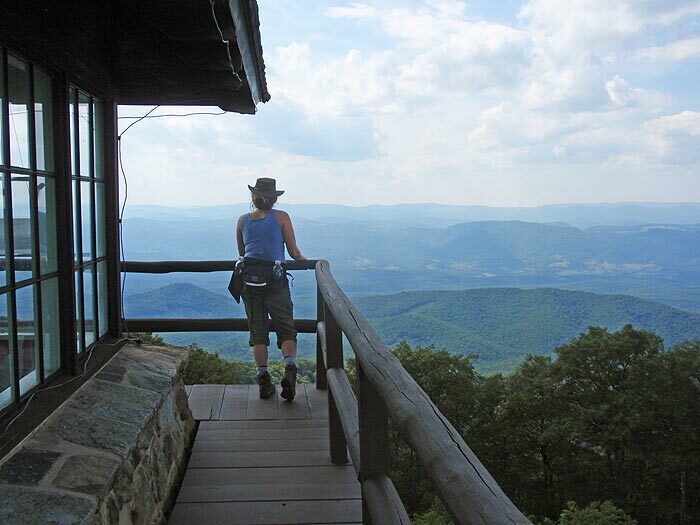 Hikers can ascend the stairs on the fire tower to a viewing platform for a spectacular view into two states, extending west as far as Spruce Knob, the highest point in West Virginia, and east to the Blue Ridge Mountains and Shenandoah National Park. Return by retracing your route back to the hiker parking lot. 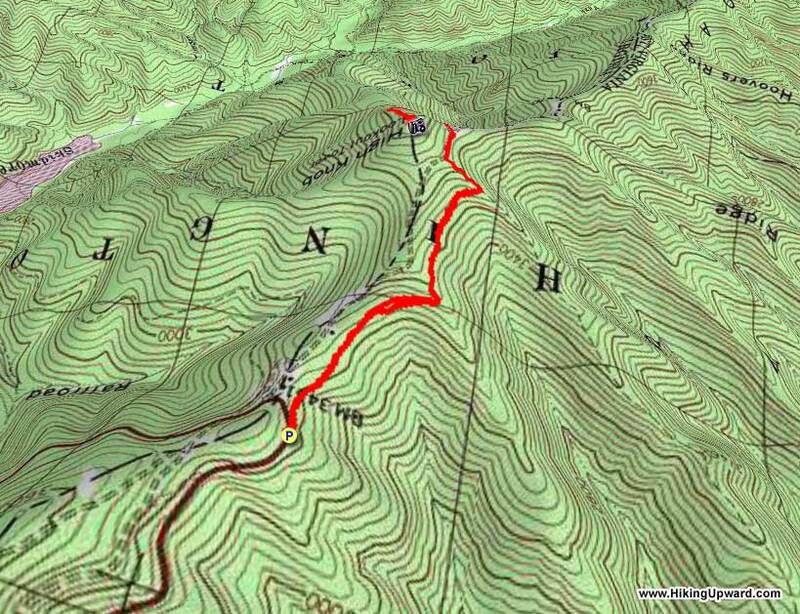 I STRONGLY recommend you take this hike rather than the one with the trailhead in the Brandywine recreation area. If you take that one you will be hating life. That hike is so steep you have to lean your back into a tree to rest because if you don't you'll start going downhill. No switchbacks either.